An attempt at meaning without the narrative structure to carry and support it. Visually stunning. Emotionally vapid. The latest installment of the Alien franchise Prometheus, while exceptionally good at pulling an audience into another world, fails to provide a passionate argument—thus giving that very same audience very little to walk away with. Astro-archaelogist Elizabeth Shaw (Noomi Rapace) appears to be the Main Character—appears because it isn’t until halfway through the film that we actually discover that she has any personal issues at all. Up until that moment, it is almost as if android David (Michael Fassbender) and his daddy issues might take center-stage. This delay in revealing Shaw’s inability to become pregnant, an essential and comfortable thematic issue given the previous Alien films, explains the lack of personal attachment to the events that unfold. An audience member cannot empathize with a character unless they have intimate knowledge of what that character is dealing with. Add to this the lack of any alternative perspective to challenge her personal justifications on the matter (her husband Charlie Holloway provides little more than knowing support) and the pregnancy issue comes across tacked on and inconsequential. Perhaps some in the audience agree, but with little setup and no real understanding as to why poor David feels this way, this creation/creator antagonism fails to effectively lay the foundation for the appropriateness of such a belief. And again, without someone there to argue against him, to provide him with a reason for possibly changing his attitude (or holding fast as the case may be), his actions seems little more than necessary to move the plot forward. 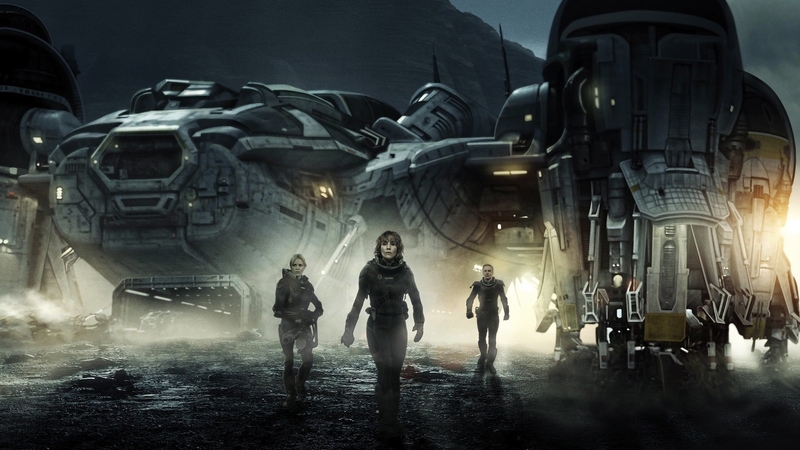 Prometheus strives for the epic greatness a true story can be, yet ultimately crash-lands as a thematically-hollow tale.